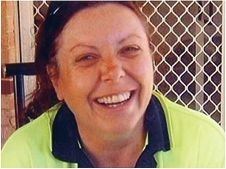 It’s been two years this week since the body of Diana Matthews was found in a Baldivis lake. Ms Matthews was found by two men in a lake at the Rockingham Regional Memorial Park at about 11pm on April 29, 2011. Shortly after her body was discovered, Rockingham detective Sergeant Steve Malcolm told the Courier there were several concerning elements about the case that had led police to believe the death was suspicious. ‘We do know that she didn’t die at the location (the lake), but was transported here,’ he said. A post-mortem examination was held but police never released details on how she died. Ms Matthews was last seen at a park at the corner of Tamworth Boulevard and Baldivis Road, just metres from her home. Despite a public appeal including a police information drop point near the lake, no charges were ever laid. Ms Matthews’ death came four days short of the first anniversary of the disappearance of Parmelia woman Iveta Mitchell (37). Her death was initially believed to be non-suspicious. Police said Ms Matthews had been driven to the Baldivis Caltex Starmart service station at the corner of Baldivis and Safety Bay roads on April 29 by her friend, with whom she shared a house with. She walked inside alone and bought several items before leaving the store at 7.45pm. The pair then drove back to their home in the Baldivis Central estate on Baldivis Road. Ms Matthews left her home about 8pm, telling her housemate that she would walk to another friend’s house nearby. But she never arrived at the friend’s house and the next anyone saw of her was when she was found in the lake three hours later. Ms Matthews was wearing a maroon polo T-shirt with a ‘Darwin Northern Territory’ motif on the pocket, black shorts and clog-style shoes. Major Crime officers traced the last movements of the 46-year-old to a blue Toyota Tarago van. Ms Matthews was 163cm tall, fair-skinned with medium build and green eyes and had long dark-coloured hair. The Courier contacted Major Crime this week but a spokeswoman said no further information would be released. ‘It’s an ongoing and active investigation, and anyone with information is asked to call Crime Stoppers on 1800 333 000,’ she said.